This brush is perfect for blending out any color on your face. It is especially beneficial for applying cream, liquids, and powder products. The soft rounded dome that comes to a point delivers a flawless highlight under your eyes, nose, chin and forehead. The tip is pointed enough to let you get into the smaller creases around your face. The pink and black colors on the bristles is a registered trademark of Sedona Lace. This blender brush is the perfect size! The synthetic brush is soft and taper to form a medium sized dome shape. The defined bristles have versatile uses such as blending highlights on your brow bone, under your eyes, and even eyeshadows. The pink and black colors on the bristles is a registered trademark of Sedona Lace. 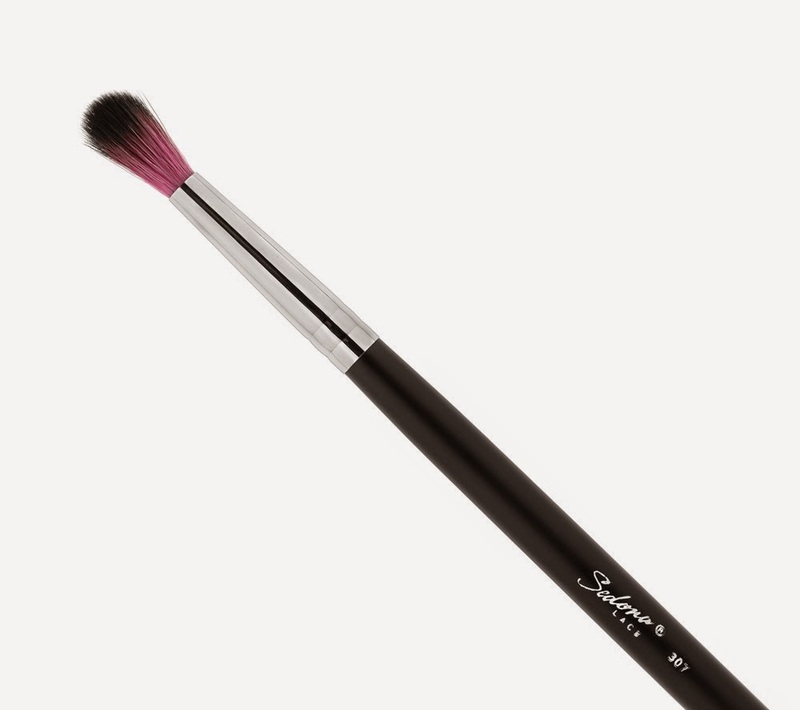 This brush is great to apply shadow right on your eye crease. The small tapered bristles are soft so it gives your crease a nice blending effect without harsh lines. This brush is also small enough to apply colors on the lower lash line with this brush. The pink and black colors on the bristles is a registered trademark of Sedona Lace.